No, this post isn’t about shuffling dead taking center stage at the local pub’s open mic night. Rather, if you like your zombies mixed with a little bit (or a lot) of humor, then the recent Zombieland and the venerable Shaun of the Dead have to be on the ticket (or at least in your Netflix queue). Released in 2004, Shaun of the Dead follows a group of regular folks that find themselves in the early stages of a zombie uprising in London. The horror and gore aspects of the film are downplayed and the humor is heightened by way of its subtlety. The story builds consistently to its climax, deftly resolving into a humorous postscript. 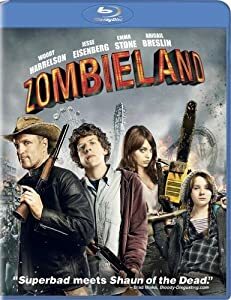 Released in 2009, Zombieland is a big budget film that follows several loners as they come together during the advanced stages of a worldwide zombie apocalypse. The horror and gore aspects of the film are over the top and the humor is often times a bit heavy handed. The story builds chaotically at times and, as is often the case with today’s big budget films, paves the way for a sequel. 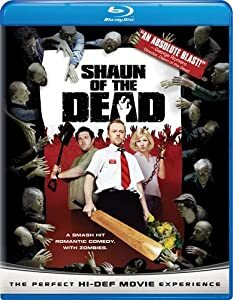 For Shaun of the Dead, the zombies are wielded as both metaphor and antagonist, with parallels drawn between the main characters’ lives and the devolving scene around them. For Zombieland, the zombies are front and centerpiece to the action with great special effects and lots of splatter. As two sides of the zombie humor coin, both films ably walk the line between horror and comedy. While I certainly prefer the style of Shaun of the Dead, Zombieland is entertaining as well.